The year is 1968. The Tet Offensive marks the turning point in the Vietnam War. Martin Luther King Jr. and Robert Kennedy are assassinated. Apollo 8 orbits the moon. And in December, the world’s first autonomous space-based astronomical observatory, OAO-2 sweeps into orbit and helps set the stage for a new era of astronomy. Since before Galileo turned a telescope to the night sky in the early 1600s, astronomers sought to sharpen their view of the stars and the planets and of our place in the universe. 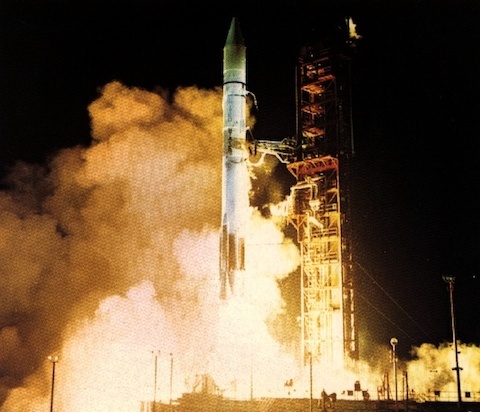 The launch of the Orbiting Astronomical Observatory 2 on Dec. 7, 1968, into a 480-mile-high orbit marked a signature event in the history of astronomy, surmounting the obscuring blanket of the Earth’s atmosphere and giving people their first sustained view of the cosmos from space. The observatory set the stage for the Hubble Space Telescope and the constellation of space observatories that now circle our planet. At the time, the 4,400-pound satellite was the “largest, heaviest and most complex” uncrewed American spacecraft. It contained two scientific payloads positioned at opposite ends of the satellite. These were seven telescopes from UW–Madison and the Smithsonian Astrophysical Observatory’s “Celescope,” a package that blended ultraviolet telescopes and television cameras. Expected to last less than a year, the Wisconsin side of OAO-2 operated for more than four years, delivering unexpected observations of a comet and nova, and a trove of data on the ultraviolet universe before being switched off in 1973. The point of OAO-2 — the first successful observatory in a series of early orbiting telescopes funded by NASA — was to position astronomical instruments above the Earth’s atmosphere. It wasn’t so much a radical idea. The idea had been around for decades. Even before there was a space program. The thing that was really interesting about the OAOs was that integrated approach that was being taken, the commitment that was being made. It’s one thing to talk about what could be done from space, it’s another to actually go out and do it. And the OAOs were a commitment by NASA, basically recognizing the importance of this and the desires of the astronomical community and the science community in general to understand the universe in ultraviolet and even x-ray wavelengths. And that the real big leap there was again, these weren’t just an instrument that you put up in space and at work for a small amount of time. This was a commitment of saying we’re going to actually have an observatory in space, which means we have to figure out not only how to point it at one or two objects, but how to point it all over the sky, how to retrieve the data, how to plan and schedule those observations, how to resolve anomalies that might happen, since we can’t actually go up at least at the time, and repair an observatory like that; how to actually communicate all that information that science information to the ground along with the engineering information. It was really not just a scientific challenge, but an engineering challenge that merged those creative thoughts that people had on the ground as far as how you operate ground-based observatories with what you would need to do for an observatory that’s orbiting hundreds of miles overhead. And it’s essentially inaccessible after it’s launched. So, that was really revolutionary, that was the new part of it, that was the commitment part of it that hadn’t existed before. The air and water vapor that surround our planet blurs, absorbs and scatters the starlight that is the currency of astronomy. In particular, OAO-2 sought to open up a view of the sky in the far ultraviolet, a portion of the electromagnetic spectrum that is blocked by the atmosphere but is rich in information about stars, galaxies, the dust and gas between the stars known as the interstellar medium, and phenomena such as exploding stars. Getting astronomical telescopes above the Earth’s atmosphere opens up the sky by giving scientists access to starlight in wavelengths that are scattered or absorbed by the blanket of air and water that surrounds our planet. “The Orbiting Astronomical Observatory 2 was the first general purpose astronomical observatory in space,” explains Jim Lattis, a historian of science who directs the UW–Madison Astronomy Department’s Space Place, noting that astronomical telescopes had previously flown on rockets and on high-flying aircraft such as the X-15. The Soviets had also orbited gamma ray telescopes, but those also served to spy on American nuclear tests. 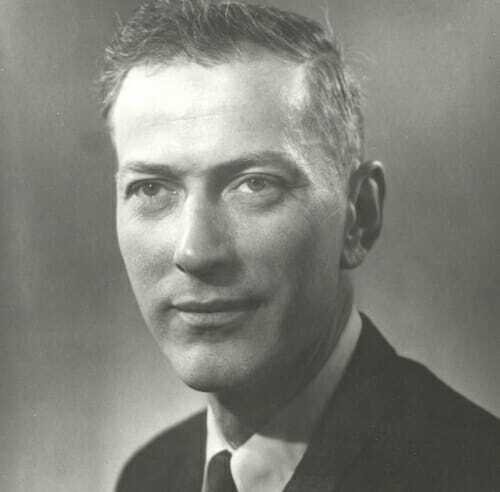 The Wisconsin side of OAO-2 was the product of a plucky, tight-knit band of Wisconsin scientists, including astronomers Robert Bless and Ted Houck, and led by space astronomy pioneer Arthur D. Code. He clearly had a vision when he arrived at Wisconsin about y’know how to use the technology that was emerging from the war to transform astronomy and so he understood. There were several people at the time who understood the potential of space astronomy. It was pretty clear that if you go above the atmosphere, things would change and Art really was driven to bring that to Wisconsin. And so I think he brought a number of people together that made this unique team that made it possible at a place like Wisconsin. If you think about how he approached this, it’s very different from the way space astronomy is done today. (Chuckles) You mention the garage at Park Street and it’s impossible to think that that would be feasible today but I think that’s what it took, right, I think it was an era of much more sort of open inquiry and possibility. But Art really had that vision and I think it transformed astronomy not just in Wisconsin, but across the world, really. The project would be the first in a series of space telescopes and astronomical instruments devised and built at Wisconsin that included a space shuttle-borne ultraviolet telescope known as WUPPE (Wisconsin Ultraviolet Photo-Polarimeter Experiment) and the only university-built science instrument on board the Hubble Space Telescope when it launched in 1990. The Wisconsin telescopes packed into OAO-2 were designed and built in UW–Madison’s Space Astronomy Laboratory (SAL), founded by Code and first established in a warehouse next to Schmidt’s Auto Salvage on Madison’s South Park Street. I was hired at space astronomy lab when I was fresh out of technical college with a degree in computer programming. I think the reason they hired me actually was because I could take averages fairly fast in my head. But what I was hired to do was be a limited term employee, which meant I was not going to be there very long, and I would look at the data as it came in. They would do sample data and they called it quick look data. And I would look at the numbers on the quick look data. I would take averages and I would mark them down on a sheet of paper that I would put on the desk next to mine in the control center. And throughout the day astronomers would come in and look at the quick look data and they’d determine how the instrument was working and if there was a particular object they wanted to go back and look at if they could. It might be said that it’s easier to create team when you’re working with NASA because you start off with an acronym and a logo and everything else. But from the day that I started at the lab, when I was 19, I was welcomed and I was made to feel part of the unit that was trying to create something. I was in no way a knowledgeable about any of the science, I barely could find the big dipper in the stars. And yet they brought me in and when I had questions, they took the time and answered them, and helped me grow up within the team. Everyone was…everyone was… friendly isn’t the right word. Everyone was considerate of the others. I think that’s why when you look at the staff that worked at the lab, and the scientists that worked at the lab, you’ll see that people were there for many years. There wasn’t much of a turnover, because it was a good place to work. Because people were creative, people were bright, and people were inclusive. It was a tight-knit crew that was easy to be comfortable in. Although the setting was humble, the science and technologies that emerged from the warehouse at 35 S. Park St. set the first standards for doing astronomy from space. Technicians working on OAO satellites, the first autonomous orbiting observatories. Scientifically, OAO-2 gave astronomers their first sustained look at the sky in ultraviolet wavelengths, revealing new things, explains John “Jay” Gallagher, a UW–Madison professor emeritus of astronomy whose doctoral thesis was built on data from the nova serendipitously acquired by OAO-2. A nova, which is a star that suddenly brightens up -classical nova. It goes from being very faint, you need, for example a telescope likeWIYNto detect it, tobeingnaked eye. And this occurs in a matter of days, had occurred. These are well known, they’ve been studied in detailfor 100 years at that point. But nobody seemed to know what was happening because the star got bright and then faded away. It was as if there was a shell sent off into space and then it faded. So this nova 1970 called FHSerpentis. Which is theSerpentisis a constellation, it tells you where it is in the sky, uh was observed by OAO. So we had data over time and we discovered for the first time that while the nova got rapidly dimmer in the optical the light then moved to the ultraviolet. So the nova wasn’t actually getting dimmer, it was getting hotter. And when you’re very hot, most of the light is far down on the ultraviolet and you don’t see it in the optical. So the dimming was an artifact of how we lookedat the nova. And then just to be even more interesting, the nova began to fade in the ultraviolet and then the light appeared in the infrared which was detected for the first time by people in Massachusetts. So it skipped thevisible.So herethe astronomer stuck with visible light, the nova kind of moved its energy -it’s kind of like banking off-shore -moved it’s energy first to the ultraviolet where we couldn’t see it then to the infrared where we couldn’t see it. What this meant thoughwasthe star’s power output wasn’t declining like the optical light. This gave birth to the theory ofnovaewhich now exists, which is that in a nova, the nuclear burning that usually takes place in the core of a star was actually taking place on the surface of a star the size of the earth. OAO-2 also helped pioneer the practice of guest observing. Especially after the Smithsonian Astrophysical Observatory switched off its experiment in 1970, many astronomers were given opportunities to observe using the Wisconsin telescopes. This OAO innovation became standard operating procedure for big telescopes such as Hubble, though today, time on big space telescopes is tightly regulated and doled out in parsimonious fashion. As a young scientist in 1970, Al Holm joined Wisconsin’s OAO team and, from a cramped command center at NASA’s Goddard Space Flight Center, helped operate and schedule the telescope, often working 12-hour shifts. Hidden features of comets were first revealed by OAO-2’s ability to observe in ultraviolet light. Directing the observatory, he explains, was far different in an “era of slide rules and desktop adding machines.” The computers were primitive mainframes with less computing power than a smartphone. The spacecraft itself did not have a computer, depending instead on a set of 256 preset commands to operate and point the observatory. The computing and technical environment used to develop and operate the first orbiting observatories such as OAO-2. Most smart phones have more computing power than was available for operating the first space observatories. But OAO-2 in many ways modeled the future of space astronomy. The observatory certainly made scientific contributions, helping inform theories of stellar evolution and revealing hidden features of comets and exploding stars, but its enduring legacy was setting the table for a new view of the cosmos.